Thousands more migrants are thought to be stranded in the Andaman Sea and the Bay of Bengal, where they are on rickety, overcrowded boats with dwindling supplies. 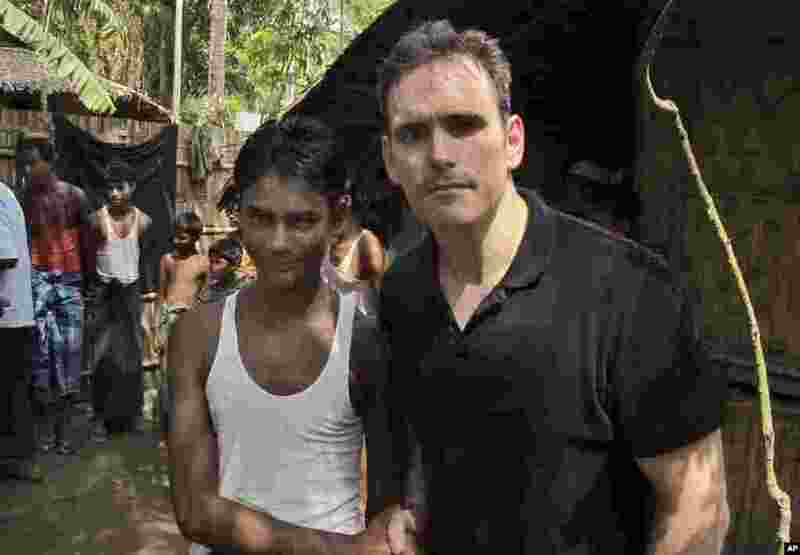 1 American actor Matt Dillon shakes hands with Noor Alam, a 17-year old Rohingya survivor of human-trafficking at Thetkabyin village, north of Sittwe in the western state of Rakhine, Myanmar, May 29, 2015. 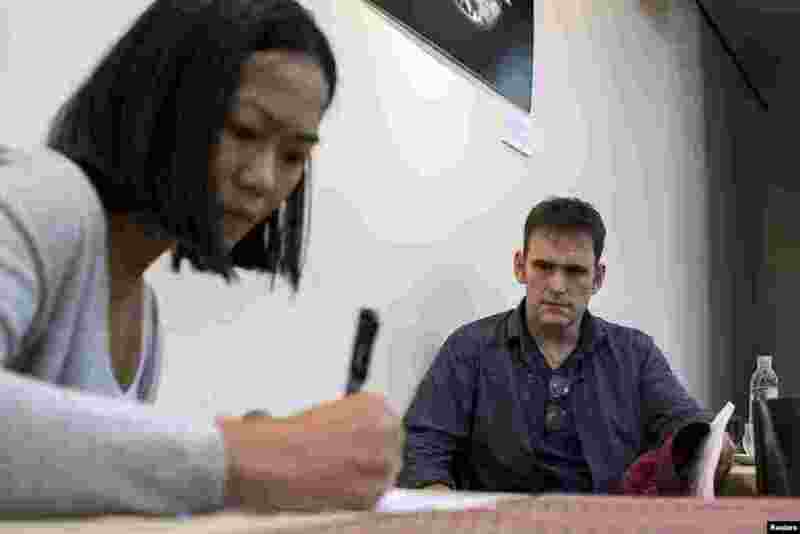 2 U.S actor Matt Dillon attends a discussion on the Rohingya migrant issues at the Foreign Correspondents' Club of Thailand in Bangkok, Thailand, June 2, 2015. 3 U.S. Assistant Secretary of State for Population, Refugees, and Migration Anne C. Richard is escorted by police officers and other officials during her visit to a temporary shelter for Rohingya and Bangladeshi migrants in Kuala Cangkoi, Aceh province, Indonesia, June 2, 2015. 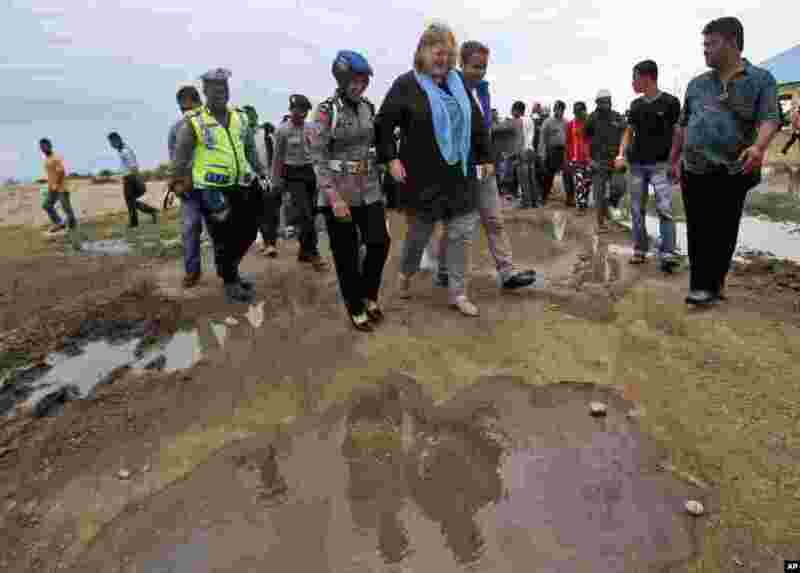 4 U.S. Assistant Secretary of State for Population, Refugees, and Migration Anne C. Richard walks among Rohingya migrants during her visit to a temporary shelter in Kuala Cangkoi, Aceh province, June 2, 2015. 5 U.S. Assistant Secretary of State for Population, Refugees and Migration Anne Richard visits with Rohingya migrants at a temporary shelter in Kuala Cangkoi, Lhoksukon, Aceh province, June 2, 2015. 6 A Rohingya woman stands at a temporary shelter in Bayeun, Aceh Province, Indonesia, June 1, 2015. 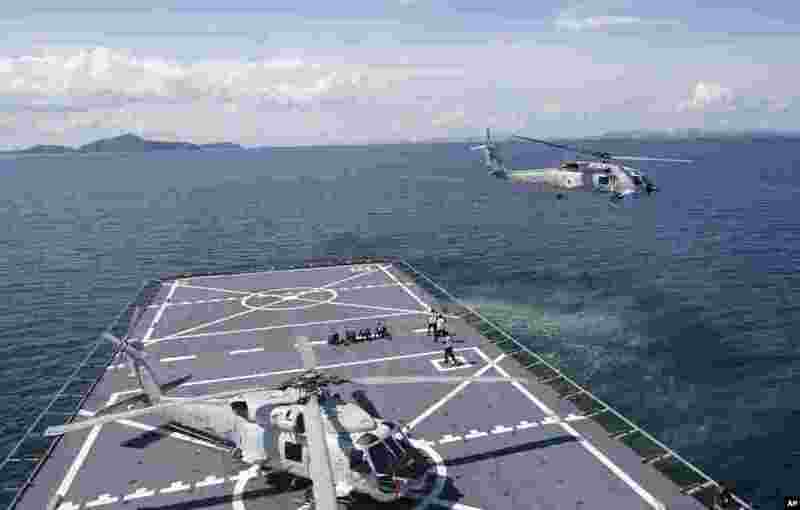 7 A helicopter takes off from the HTMS Angthonga helipad before a patrol demonstration to the media on a Thai naval ship in Phuket province, May 29, 2015.